My Sunday routine has been in place for a boring long time. In the morning I’m consumed with CNN News shows on TV while drinking coffee, reading the newspaper, having a protein shake breakfast and scanning the computer for interesting things. In between noon and 9:00 PM (when Madame Secretary comes on TV) I do a flurry of activities in no particular order that includes: 1) checking the basement for signs of mice, water where it doesn’t belong and skinny men who might be hiding behind the furnace; 2) picking up dog poop in the dog’s pen; 3) emptying all the waste baskets; 4) taking the trash cart to the street for pick up on Monday morning; 5) doing three/four loads of laundry; 6) picking wayward items up in the house and putting them where they belong; and 7) planning my days out for the coming week. If I’ve got a particularly busy week ahead, I’ll also line up the clothes I’m going to wear in the order I’m going to wear them so I don't have to waste time making decisions in the mornings. This week I went to a class taught by two geeks from the library on how to manage passwords and create safe ones. It was a group class at the senior hall but the most useful thing I learned is that you can book a free half hour with a geek at the library on any topic or problem you’re having with any device you can bring in---laptops, cell phones, tablets, iPads, iPods or Kindle-like readers. They showed us how to use password managers and I decided I don’t like them. In fact, all of those sitting close by me agreed that keeping a physical notebook makes us feel safer than having our information hackable in a cloud or stuck in a crashed computer. Call us old and set in our ways because we are. The geeks did say if we’re going to do that don’t keep the notebook within arm’s reach of your computer and whatever you do don’t keep a note with your important passwords underneath your keyboard. Duh, The way the geeks suggested we make up good passwords was to use a sentence we can remember like, “The cow jumped over the moon” then just use the first or second letters of each word and add characters or numbers in between the letters. For example the cow sentence (tcjotm) becomes T1c2j3o4t5M and they recommend we change our passwords every two months. Like that’s going to happen in Old People Land. One of my sister-in-law’s on my husband’s side passed away this week. She was ten years older than me and lived in a nursing home for the past 5-6 months, but before that she lived close by and I’d stop to see her a couple of times a month. She made me laugh and was a constant source of family gossip thus you had to be careful what you told her unless you wanted your business known to one and all. Still, of all my in-laws she was the one I was the closest with and she thought I hung the moon. From day one she accepted me as a sister/friend and for four decades we were included in every single family gathering she had at their house and cottage. In her heydays she fostered over thirty children. Babies were tucked into every corner of their house along with her own five children. Over the years she didn’t take very good care of her health but she never lost her love of cooking. If she wasn't feeding you she was sending you home with a box of leftovers when you'd leave. When I had my knee replaced in 2009 she kept Don and I well fed for over a week---every day driving over with more food than we could eat. Her big heart and her polish kielbasa will be missed. “I am always saddened by the death of a good person. It is from this sadness that a feeling of gratitude emerges. and that I should seize the opportunity I have to forgive, share, explore, and love. I do use a password manager but also write down important ones. So sorry for yet another loss for you. That's one of the hardest things as I age. Hard enough to lose a mom and dad. Worse to lose a husband. Can't imagine losing a sibling. Or a close friend. I've thought about using a password manager for all the places I go that really don't matter but it would take so much time I probably will never get around to setting it up. I think it is worth for just that reason. Things that would NOT be the end of the world if hacked ... library, weight watchers, weather app, grocery IQ, etc. On the good side, too, I'd only have to do it once. I agree with you regarding passwords. I keep mine written at the back of a notebook. I don't particularly trust e-appliances, especially after my last mobile suddenly died on me. I had all my passwords (and pix) stored on that. Your computer security class sounds similar to the one I attended. I couldn't foster kids like that either, or even dogs! Most of her fosters were literally babies and toddlers too young to remember who taught and loved them early on. Thanks for the tip about HRC's speech on setbacks. I'll look it up. She really is amazing. My condolences about your SIL. It's always hard when you lose someone who thought you hung the moon. I know I will feel that way when Aunt Ruby dies. I'm impressed that you can stay awake late enough to watch Madam Secretary. Most of the time 9:00 pm is my bedtime, but I get up at 5:00. I have to record it and watch it later. We watched it last night. Love that show. I've done that password trick of using the first letters of a sentence or familiar phrase. I definitely need to change my passwords. It's been ages. Passwords are the bane of my existence. 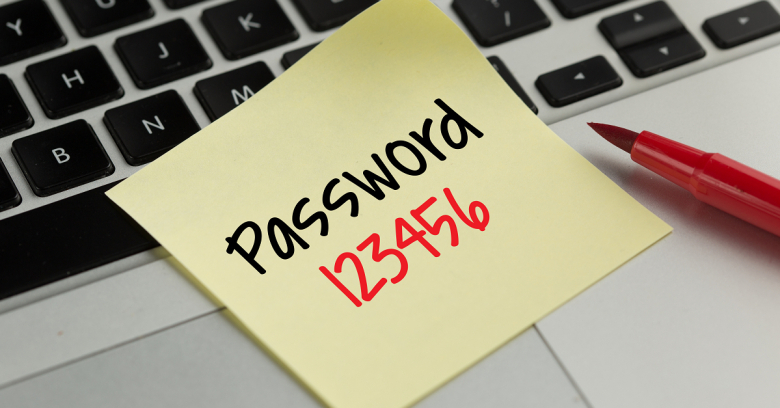 The geeks said that hackers usually sit on hacked passwords six months before they use them...those from places like Facebook, Amazon, etc. They also have software that will try combinations of words and numbers and will find things like, "Samual344" rather quickly. I never had trouble staying up late until I started at the gym and have to fit it in in the early morning. Not sure I'd like mornings that start in the middle of the night at 5:00. LOL 6:00 and 7:00 are hard enough for me. Change my passwords every 2 months? It would never happen. I had an account at a bank that required a new password every year. I changed banks. Sorry for your loss. It seems that I have outlived a considerable amount of my relatives and classmates. Pulled between feeling bad and good about that. I still have a few routines, very few, as I 'wing it' with most things these days. The older I get the less I like banks and all their rules. Half their challenge questions were designed bu young people. Like who remembers the name of their third grade teacher? I might one day but not the next. I "wing it" most days but I like having a routine on Sundays so I'll know when the week begins and ends. I've never used a password manager. In the same way, I've stopped allowing my own computer to save passwords, since anyone who breaks in can get them all that way. I keep two hard copies, and take one with me when traveling. Since I don't do any online banking, bill paying, and so on, the list isn't too long. I just had a good friend from Weather Underground die in January. We had established a friendship in about 2006 or 2007, and talked on the phone regularly -- about twice a month, for hours at a time. She was only 69. It's happening more frequently, and I certainly understand in a way I didn't when I was younger why my mother, at about 90, started saying, "I don't have any friends left." Making new ones is possible, of course, but those long-term relationships never will happen again. There aren't enough years left! The geeks also mentioned not allowing your computer to store passwords. I've never saved them on banking, etc., but I need to make changes to saved passwords at stores. Losing those connections where we had someone to talk to in depth is hard, isn't it. Sorry about your friend! 69 really is too young! My passwords are in a notebook in my desk. Perhaps I should but I just don't worry much about that. So sorry you lost your friend/SIL. And yes, there is a sad penalty for longevity. I think it depends on how many people come and go from your house...grand-kids, caregivers, contractor, visitors and how safe your neighborhood is likely to break-ins. I don't worry about any of that, but I do hide my notebook when my house cleaner comes. They don't have to steal the whole notebook, just jot a password down and slip it in their pocket. Our library has a similar program: attend a class or book an hour with a helpful college student. I was actually in the library yesterday getting help from a very patient student! (I am helping some people set up a list of email addresses in order to circular local activities and resources for the resistance). I made it clear that I have nothing more than basic knowledge of computers so I actually learned a fair amount yesterday about moving files and the inner workings of gmail! My mother moved here from Florida when she was 85. Too many of her friends were dying and obviously that wasn't going to stop! We had been encouraging her to think about the move and that was one of the strong points (I think)...people her age weren't going to live much longer but at the very least she would be in the company of her daughter and son in law! It was a good move and a good 5 years together. Yeh for the resistance! The library service is a good one and I'm guessing it's nation wide. I actually need to learn the same thing you did---set up a group email list. 85 sounds like a good age to for me to move closer to nieces. Glad its working out well for your mom. I don't get ver worked up about computer passwords. Can't imagine I have anything worth hacking into. Bob was one of 10 and then there was 2 half siblings and a step-sister. They're all gone but Bob and two sisters. I had no siblings. I guess one of the considers is supposed to be that if a hacker gets enough info on you they can open up accounts in your name, buy stuff, charge stuff, borrow large sums of money and then by the time you get the bills coming your way, they've skipped. Wow, that's a lot of losses in one family. I have separate passwords for important sites like banking but have done the same as you with one for groups of sites. If someone wants to hack my info at quilt forum or dog forum, they won't get much. I hope you have a copy of your computer's password in with your estate planning information. Sorry. I guess I didn't write that clearly: my mother moved here when she was 85. We had 5 good years together until she died at 90. She said she was too old to move at 85 but my sister and I and nieces helped her and it all went fairly smoothly. You still have time to consider when to move closer to your nieces! My passwords are written in a note book so that when I die, my daughter will be able to access everything she needs to tell the word I have "transitioned" into another plane of existence. I worry about that, too. I have a password list in with my estate stuff but I need to write directions on how to post something on my blog. What a great poem. Well, if it's any consolation, you will leave many broken blogger's hearts behind. Do you have someone who can write that final post, so our tears have some resolution? I do believe you'll get a good life review at the pearly gates. It's likely a lot of libraries have computer geeks ready to help. I never thought of going there. I do the old fashioned thing with passwords. Writing them in a book, and hiding the book. But not under the laptop!! I told my trusted brother the password to unlock my PC and my front door. But I haven't told him where to find the mother lode of all passwords is, to settle my bills after I'm gone. Sure wish I'd known all my late hubbie's passwords. One can only guess so many combinations >:-(. Aw, Thanks! I do have a niece who occasionally reads my blog and understands what it means to me and she is one of my powers of attorney. I plan to leave her instructions next time I review my estate stuff. My husband didn't use a computer but I've heard enough horror stories of widows having to figure out how to access accounts to know it leaves behind a terribly problem. This summer I'm having my nieces come up for a show and tell around my house. One of them has had the 'tour' with he dad and she took a notebook and wrote as he talked and put the notebook in her safe deposit box. She says she'll do the same with me. My passwords are a mess of some I know, some I don't recall so always have to look them up in my little book, and some stored in the cloud, but I don't know how to find them again if I need to. I always swear I'm going to really and truly learn this tech stuff, but more often I just muddle through and only know the very basic of basics to get done what I need to get done. I'm sorry abut your SIL -- sounds like a generous person. I always appreciate those who can cook! I wonder about how I'll be remembered too -- and IF I'll be remembered. I once was told that we all touch lives in ways we will never know. I guess that's true. Let me say this now...and often, I hope...YOU have touched my life with your long-distance friendship, your humor, your intellect, your perseverance and courage. Also, I get to have a dog vicariously. HI LEVI! Levi and I both thank you. I should ship him off to you on haircut or shopping days when he costs me a fortunate. But he's worth it. Lost in the clouds...that's why I don't trust them! I wish they'd come up with an eyeball reading password. Probably got them at NASA, the CIA or at Bill Gates' house. I remember when I first read about him having paintings all over his house that changed every hour....turned out to be the prototype for our desktop photos now. I was so impressed! I hate using passwords.